Beautiful valley in the Pyrenees, France. 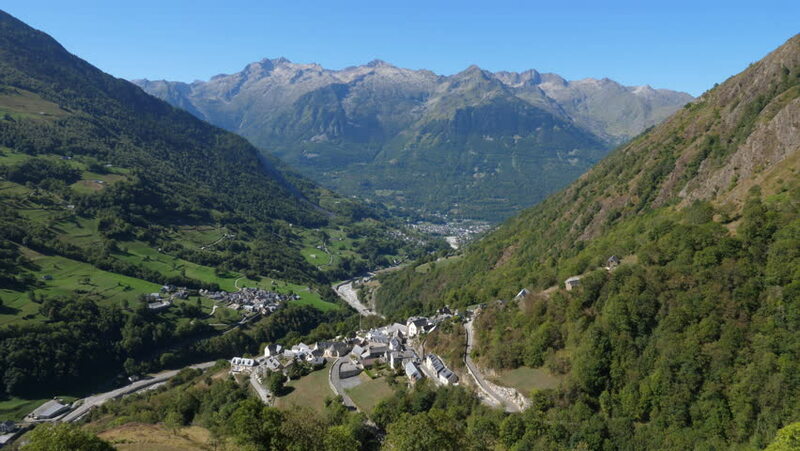 View of the towns of Sers, Betpouey and Luz-Saint-Sauveur. 4k00:11Beautiful valley in the Pyrenees, France. View of the towns of Sers, Betpouey and Luz-Saint-Sauveur. 4k00:20Canyon of the river Tara in Montenegro with a bird's-eye. Drone flies between the mountains along the road and the river. On two sides, surrounded by rocks of white stone, overgrown with trees.